Are you counting down the days until Super Bowl LI, but still can&apos;t score tickets for the big game? Don&apos;t worry! You can have a day to remember even without heading to the stadium by hosting your own killer Super Bowl LI party. But before inviting the crew over, investing time to create the perfect place to watch the game will pay off on Game Day. If you are lucky enough to have an understanding wife or girlfriend who has already allowed you to have your own "Man Cave," your job is easy. A few team decorations and you are done. On the other hand, if you are like most men, it will take lots of begging and outrageous promises before your significant other allows you to turn the spare room into your own personal "Man Cave." Believe me, it is worth it, even if you wind up visiting your mother-in-law every week for the next year. 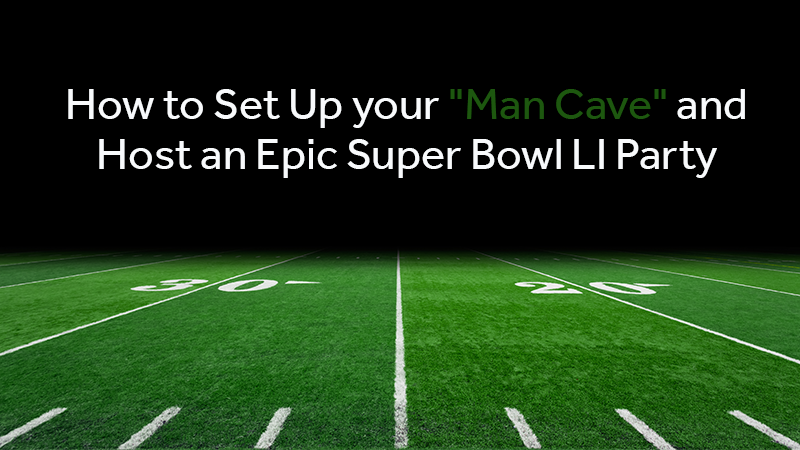 Four Simple Ways to Create the Perfect "Man Cave" for Super Bowl LI. Define your territory - You and your buddies need privacy, even if your "Man Cave" is only a corner of the living room. Try to physically or visually block off the space from the rest of your home. If this is impossible, at least ask the other people in your home to avoid interrupting you during the big game. You can&apos;t be distracted! Big. Bigger Biggest - Bigger is better and the biggest is the best. Go ahead and squeeze that 100-inch flat screen and surround-sound system into your "Man Cave" even if it is the size of a walk-in closet. Remember, it is not the size of the "Man Cave," but the size of the tech in the "Man Cave" that matters. Comfort is key - Watching the Super Bowl is an all-day event. Make sure your seating is comfortable, and you have enough food and drinks to last. 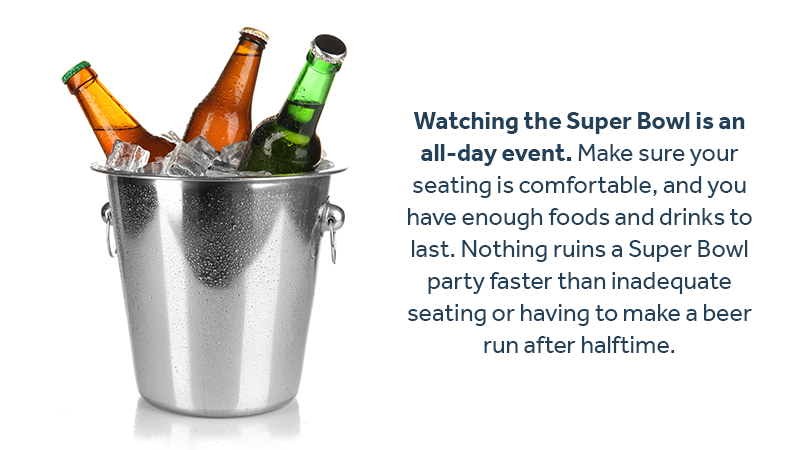 Nothing ruins a Super Bowl party faster than inadequate seating or having to make a beer run after halftime. Make you "Man Cave" look the part - It is your space, it should be the one place in your home where you get to showcase all of your favorite things. Proudly display memorabilia from your top teams or highlight your favorite hobbies. This is your one chance to decorate boldly and have fun! Do you need to clear space in your home to build your "Man Cave?" Zippy Shell of Houston is a convenient solution for short or long-term storage for any household items. If you need storage for your furniture or just a few select pieces, contact Zippy Shell of Houston, the moving and storage expert, to find out how they can help you.